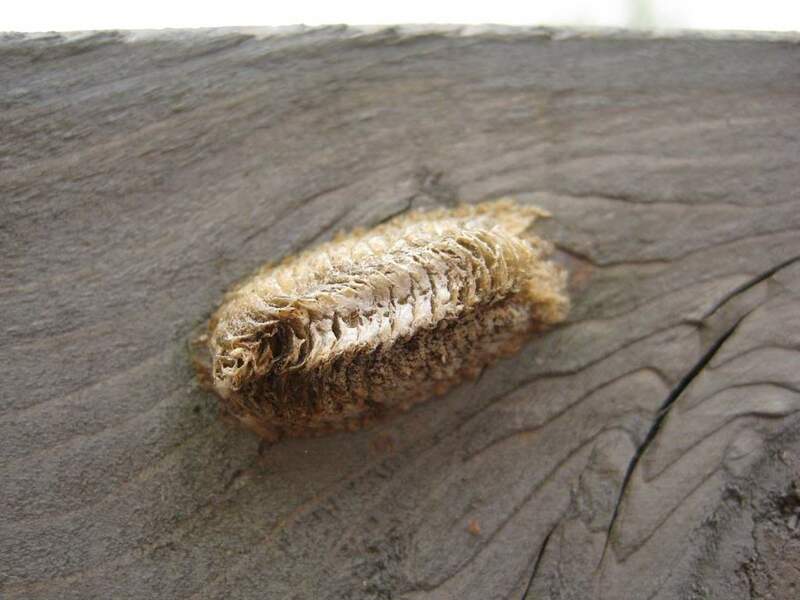 I think "ootheca" is the perfect word for... well, I'll tell you in a minute if you don't already know. I need to clean out dead culms and also take a division of it, but doing it in the summer is dangerous -- wasps make nests in it every year. So I did clean out quite a bit in early spring, but there were still some visible dead culms poking out and a week or so ago I decided to remove them. ...Oooooh, a mantis egg case! This one is extra exciting for me, as it's a different type of mantis ootheca -- it's from the Chinese mantis (Tenodera sinensis), which I've never actually seen in my garden. Clearly they're here though. 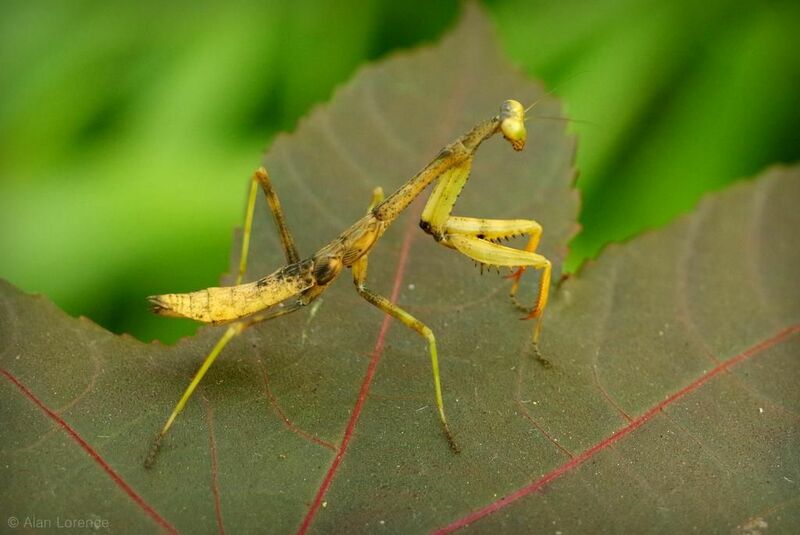 The Carolina mantis hatches around the first week of June here typically, but in early May I was cutting back some bamboo in this area and saw a hatchling -- now I realize it must have been from one of these Chinese mantis ootheca. I found three of the egg cases in that bamboo! They are all empty of course. You can tell they're empty because of the holes in the top. Before hatching there are no holes, while after hatching: holes. There could be more ootheca in that bamboo, but the wasp nests are in there too so I didn't poke around too much. Yes, it's as much fun typing "ootheca" as it is saying it out loud! Interesting note: spell check is fine with 4 or 5 O's in "oooh", but add a sixth and that's a spelling error! How exciting to find these and for me to learn a new word. I also learned that the term refers to the egg cases of cockroaches. Exciting! Interesting different ootheca from the ones I see here--found one just a couple of days ago in one of the Grevilleas. They are usually in the roses. Your Fargesia looks beautiful, dead culms or no!